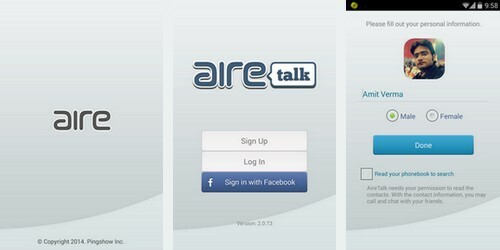 AireTalk is a FREE Call, IM & Multimedia Sharing App. app for all your communication needs. Airetalk is the best IM and multimedia sharing app. 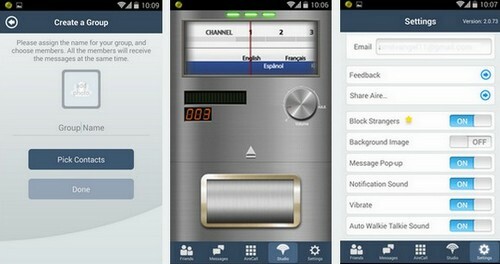 Communication features makes this app most useful for connecting with family, friends or your business related work. It's a truly app for all your communication needs. Technology is becoming advance day by day and many tech gadgets are taking place in our life, to make our life easy and make us to work more efficiently. In this technology world some best invention till now is mobile phone and now its become part of every individuals. Smartphone era has began and because of this its leads to many operating system for mobiles like iOS, Windows and Android. Now this expand the wide range mobile phone consumers and given opportunity to app developers to make great apps for every platform, so that every smartphone holder enjoy and connect with each other via social app. There are many apps in app world right now like wechat, hike, tango, skype and many more etc. which not only help you connect with your family or friends but also interact with them via text, voice & video call. So we are happy to announce that new app launch which capable of doing all that feature and more. 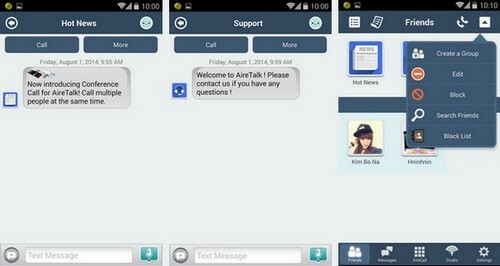 PingShow has developed an app called AireTalk. Its available on all platform like Windows, iOS & Android. AireTalk makes communication more easy by proving users to connect anyone on any device uses the app. The feature in this is very useful and which makes your communication easy and hassle free, you can make free video & voice calls to them, text messaging & share multimedia files (image, video, music) with them. You can use this app over mobile data and Wi-Fi. • ALWAYS CONNECTED: One time log-in feature. Never log-in or out! • MULTIMEDIA: Share photos, files and videos. Supporting all formats and unlimited file sizes. Getting started with an app is very easy. Download from app store based on your device platform. Open it and sign up with your mobile number or sign in with your facebook account. As you able to see i am sign in with my facebook account because its easy and fast. You can opted for any method you prefer best for you. After login you will see dashboard and friend list, whom you know just a suggestion from app. Latest news notification about the new feature added and support is always ready from you to answer your queries. You can create groups, edit, block, search friends and black list. Now new feature added which allows you to do conference call which support upto 50 people in one go. Useful features which makes this app more awesome as comparing with other apps. AireTalk setting is very easy and anyone can understand with their easy interface and guidance you get on screen. Groups make you personalised your communication preference based on your mood. You can also broadcast your voice over channel so that other also listen you. When the light stop blinking you can record your message by pressing yellow tab and release your message will be sent. That’s interesting features. In settings you can block strangers, background image, message popup, notification sound, vibration and auto walkie talkie sound on/off. Airetalk comes with great calling features, you can make call, video call, chat, walkie talkie, voice, media sharing, file transfer and also share your location (needs GPS device inbuilt). Call quality is superb and clear. To call landline other than AireTalk user you need credit. 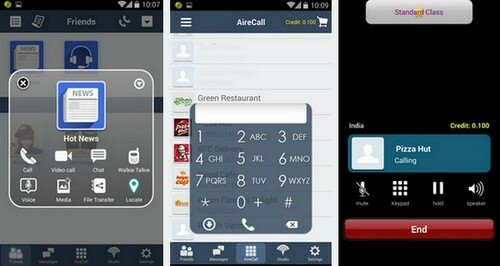 Users who have installed app on their phones can call eachother free. To get best calling performance you need to have 3G or Wi-Fi connection.